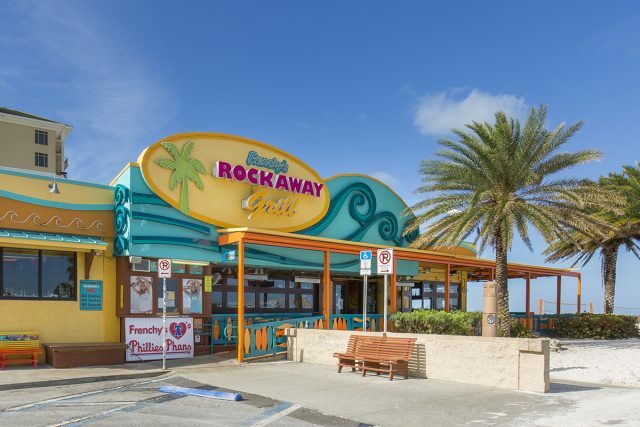 Frenchy’s Rockaway Grill is our largest venue, offering open-air beachfront dining right on the Gulf of Mexico. The stellar sunset views are a perfect pairing to our large selection of fresh seafood, sandwiches, our famous She Crab soup and other Floribbean style dishes. Rockaway also features live music daily from the best local artists and two large bars serving up the beach’s best rum runners and other refreshing beverages. Every day of the week is fun and energetic at Rockaway!